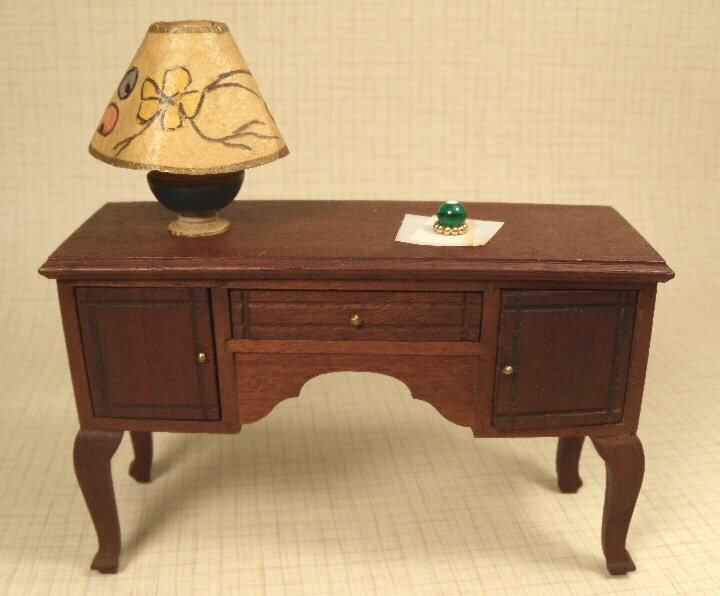 This is a very beautifully made and difficult to find German table lamp. 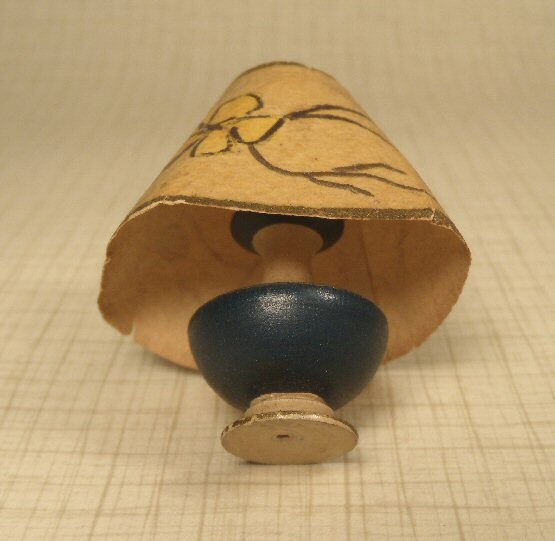 The shade is parchment paper with a hand painted design. The base is turned wood, commonly referred to as treen ware, beautifully done and enameled in dark blue, cream color and edged in gold gilt. Several angles are shown, so that one can see under the shade how lovely this lamp is. Faintly marked "Germany" underneath. This was probably made by one of the larger German dollhouse and dollhouse furniture companies, I'm speculating possibly Christian Hacker as it greatly reminds me of some of their work, but as of yet, this has not been documented. c, 1915-20 era. This lamp shows a bit of aging and wear, mostly on the paper shade, a little bit out of shape and a small flea bit from the back bottom of shade. But overall very good condition taking into consideration the fragility of the paper shade. 2" high to the top of the shade, approximately 1 1/2" across the widest part of the shade. Also pictured with an early paperweight on an American sideboard, all sold separately. 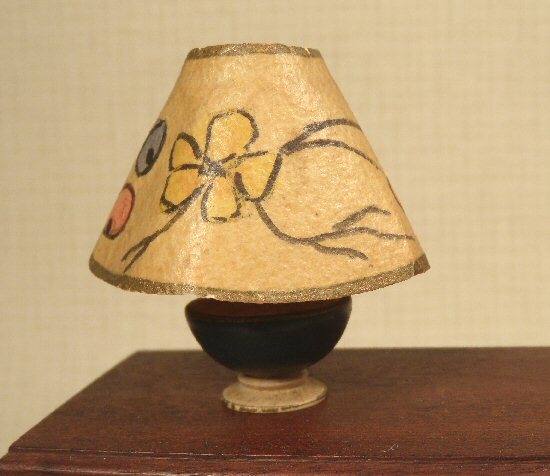 I am interested in purchasing German Table Lamp Hand Painted Shade #197-33.